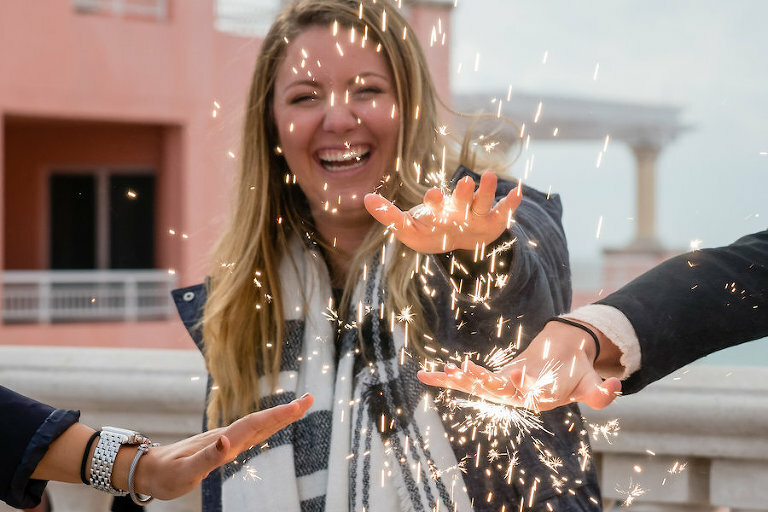 We chose Clearwater Beach for this year’s second annual Tampa Bay Wedding Week venue crawl. Clearwater Beach was named #1 beach by Trip Advisor and has a variety of sightseeing, restaurants and gorgeous oceanfront venues within a short walk. We partnered with hotel wedding venues the newly opened Wyndham Grand, Hyatt Regency and Hilton Clearwater Beach. Skylime Limousine transported newly engaged couples to and from each location as they got to experience what it would be like to host a wedding at each venue. 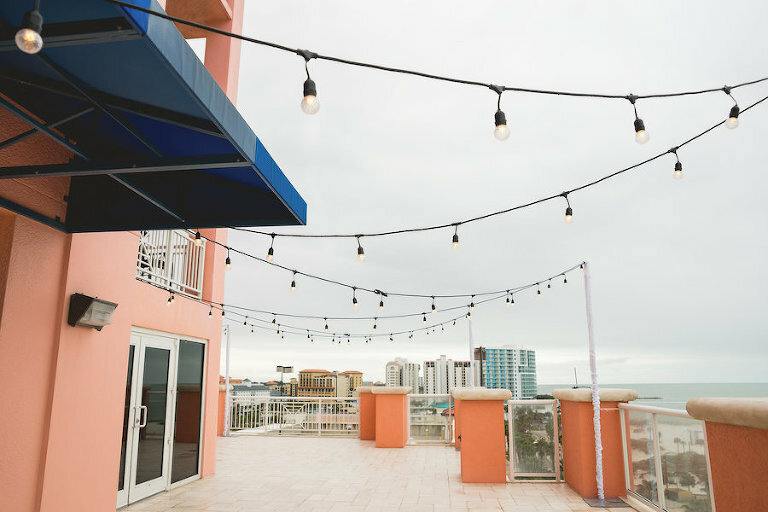 The Hyatt Regency Clearwater Beach showcased multiple wedding spaces including their signature outdoor Sky Terrace, set 16 floors above the beach, two ballrooms and two indoor locations which feature stunning water views. 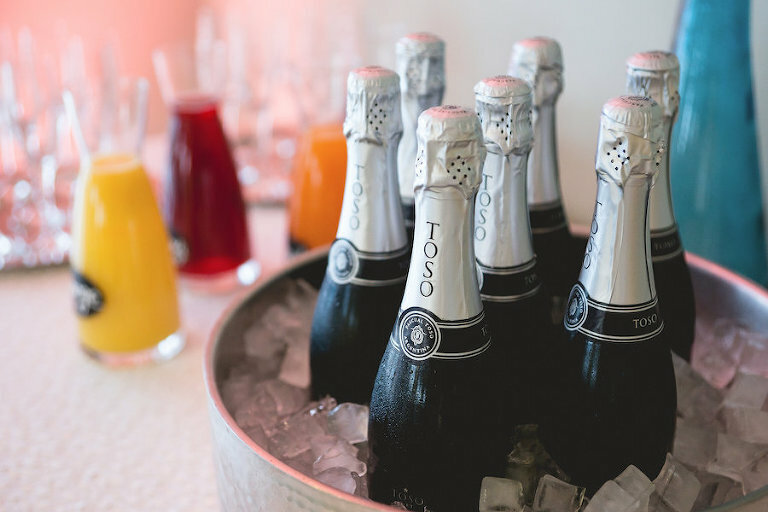 Tampa Bay wedding planner Special Moments Event Planning partnered with Apple Blossoms Floral Designs, Nature Coast Entertainment Services, Over the Top Rental Linens, Signature Event Rentals and Gabro Event Services to transform the spaces into elegant settings. 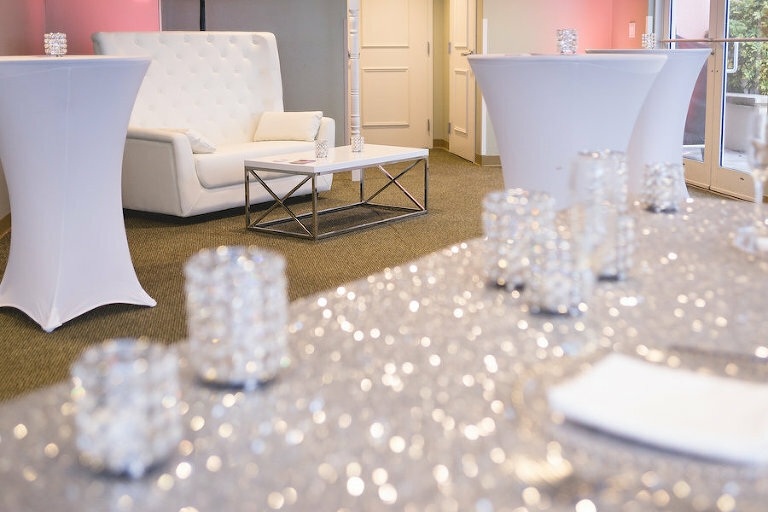 An entire room was dedicated to desserts and popcorn from A Piece of Cake, with vintage lounge decor by Reserve Vintage Rentals, while pet planning experts FairyTail Pet Care were on hand for couples who want to incorporate their pet into their wedding day. Relive this amazing wedding experience through the lenses of Grind and Press Photography and wedding cinematographer Hatfield Productions. We were excited to showcase the first wedding event at the Wyndham Grand Clearwater Beach, which opened in January 2017. The newest property on Clearwater Beach boasts the area’s largest ballroom, a 10,000 square foot space that can accommodate up to 800 wedding guests. Wedding planner Parties a la Carte created a modern Palm Beach inspired design, complete with ghost chairs, chargers and place settings by A Chair Affair, sparkly linens by Over the Top Rental Linens and white dance floor from Signature Event Rentals. Wedding cake decorator The Artistic Whisk completed the look with a modern gold multi-tiered round wedding cake. In the upstairs ballroom, which features an outdoor balcony and sweeping oceanfront views, Gabro Event Services created an intimate and romantic reception with white draping enveloping the room. Andi Diamond Photography captured these stunning photographs, as well as couple portraits, with hair and makeup by Michele Renee The Studio and dress from Isabel O’Neil Bridal. The Hilton Clearwater Beach is one of the few wedding venues that features beachfront outdoor ceremony space as well as a covered reception patio. With wooden pews and green accents, the Hilton transferred their beach into a modern tropical paradise. The French country chairs and wooden feasting tables from A Chair Affair added a rich look to outdoor reception, while the sequined runners from Over the Top Rental Linens provided the perfect touch of glam. Inside the Hilton’s ballroom, wedding DJ Graingertainment entertained couples as the sipped on blueberry moijtos from the venue’s beach bar, with Grind and Press Photography capturing all the action.